SHABQADAR: Prime Minister Imran Khan has said he is ready to hold talks with Indian Prime Minister Narendra Modi in the ‘best interest of the country’ but this offer should not be considered Pakistan’s weakness. “Modi, let’s starts trade,” Imran Khan said on Friday while addressing to a public gathering at Khar in Bajaur tribal district. This was the premier’s maiden visit to Bajaur and Mohmand districts, which were part of former Federally Administered Tribal Areas (Fata). “We are repeatedly asking India to have bilateral trade and resolve the issue of Kashmir through talks. But unfortunately, a political party in India wants to win the elections by spreading hatred,” he said. The premier was referring to the India’s ruling Bharatiya Janata Party (BJP) which is accused of whipping up war hysteria ahead of April’s general election. Imran Khan warned that the Indian government might still take ‘any action’ against Pakistan to secure victory in the upcoming elections. “There is a need for Pakistanis to remain vigilant during the next 30 days [ahead of the polls],” he added. 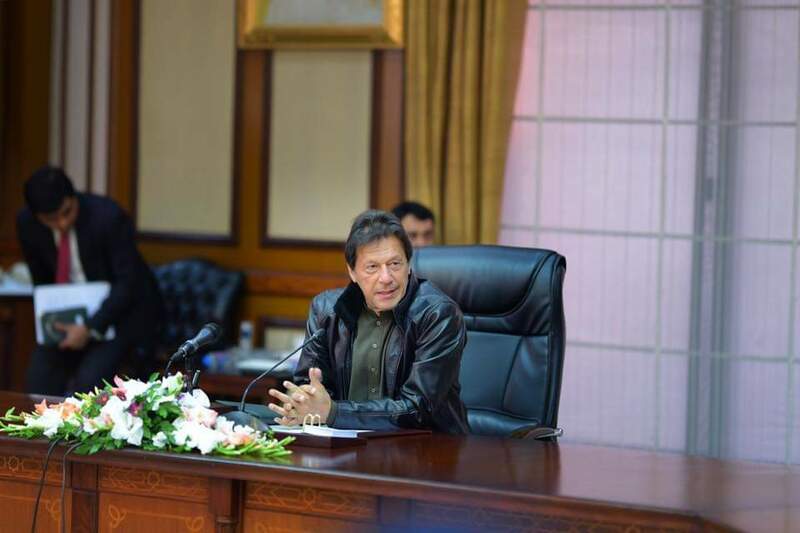 The prime minister referred to the recent Indian violation of Pakistan’s airspace on February 26 and said the Pakistan Air Force acted forcefully and defended the country’s territorial sovereignty. However, Imran Khan said, with focus on moving forward on the path of development, attracting investment and creating job opportunities for unemployed youth, Pakistan wants peace and not war with all neighbours including India. He reiterated that his government would not make any compromise on corruption and would not enter into any deal with those who looted, plundered and laundered the public money abroad. 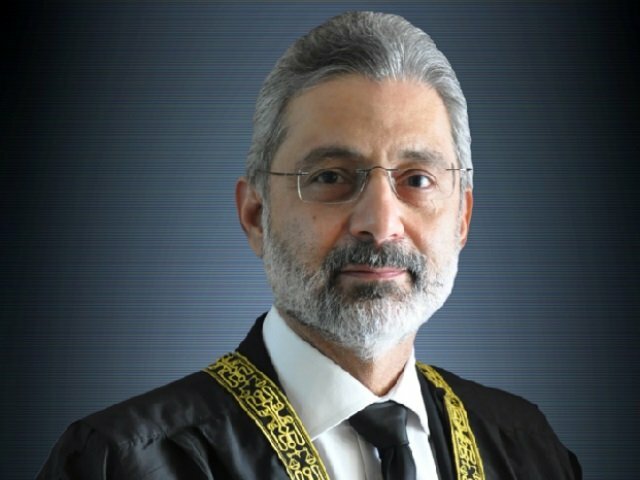 Describing the Charter of Democracy – signed between the Pakistan Muslim League-Nawaz and the Pakistan Peoples Party – as ‘Charter of Corruption’, he said the two political parties, through their partnership over the past 10 years, took the country’s debt from Rs6,000 billion to Rs30,000 billion. He said the PML-N supreme leader Nawaz Sharif left the country in 2000 after a deal with General Pervez Musharraf, while ‘another political leader’ returned to country in 2007 through a National Reconciliation Ordinance (NRO). “Now there will be no NRO,” he said. Khan said Pakistan wants friendly relations with ‘brotherly’ Afghanistan, adding peace would return to the country after the establishment of a government there which includes all parties and stakeholders. “Insha Allah, there will be peace in Afghanistan, which will boost trade and bring prosperity in the region. That time is not far away,” he added. Khan said Pakistan enjoys good relations and wanted to further strengthen its ties with brotherly Iran, which stood with Pakistan in 1965 war. The PM recalled his visit to Bajaur in 1992 and said a picture of this beautiful area was published in his book on tribal areas, adding, he had been striving to visit the areas for the last 27 years but could not make it due to difficult situation in tribal areas. The PM said since tribal areas have been destroyed due to war against terrorism, the government had decided to allocate 3% of National Financial Award (NFC) to tribal areas. He said with the PTI having governments in the Center, Punjab and K-P, the federal government in this respect would also approach the provincial governments in Sindh and Balochistan to get their nod on it. Khan said as the people of tribal areas have rendered immense sacrifices for the country, it is the duty of people from across Pakistan as Muslim to help uplift the people of tribal areas. He, however, said the process of development in tribal areas could take time, adding that the people should be cautious of the enemies of Pakistan, who would try to disrupt peace in the tribal region by misguiding the people of tribal areas. The PM said Fata-KP merger would help boost development in tribal areas where health and educational facilities would be provided with the opening of hospitals, colleges and universities. Allaying the fears of Levies and Khasadars, he assured them that after the merger of erstwhile FATA with the K-P, they would not lose their jobs and a structure was being introduced to absorb them in the K-P Police and their wages would be improved. The PM spoke about the country’s economic woes but also expressed his confidence that with various friendly countries including Saudi Arabia, UAE, Malaysia, China and Qatar bringing investments, the economic situation would further improve. He also announced Rs2 billion grant to offer interest-free loans to the youth of Bajaur so that they could start their own businesses. In order to address the issue of electricity, the PM announced to install solar panels in 300 mosques, grid stations for Bajaur and Mohamnd and 8,000 jobs for local youth. He said sports facilities would be built in the area for which funds have been released, adding, industrial zone would be established in the area to promote small businesses and cottage industry. “The government would introduce Sehat Insaf Card in tribal areas including Bajaur under which every family would have Rs720,000 per annum at their disposal to get them treated from any hospital. The people of Bajaur would soon be getting the facility of Internet in their area,” he added. Imran Khan is the first prime minister after Zulfikar Ali Bhutto who addressed a public gathering in tribal areas, which were merged with the K-P last year.